Phosphorus is a vital mineral required for the normal functioning of every cell in your body. Consuming too much from phosphorus foods can be dangerous for your heart and bone health. Find out which foods can put you at risk of getting too much. 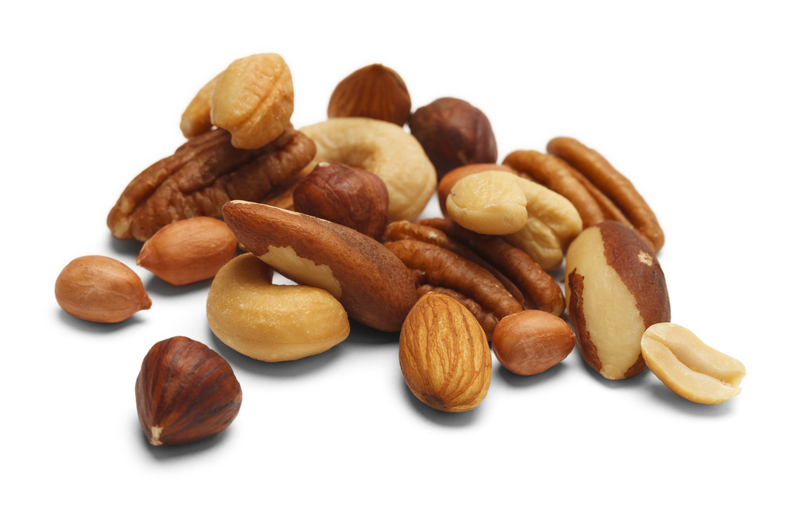 Go nuts—get your phosphorous requirements from plant-based foods. The minerals you absorb from consuming a healthy diet are more important to your well-being than you might realize. Phosphorus, for example, is the second-most-plentiful mineral in your body, next to calcium. And what does phosphorus do for us? Approximately 85 percent of the body’s phosphorus is in bones and teeth. Like other minerals, phosphorus is crucial to the normal functioning of every cell in your body. It’s necessary, then, to make sure the right phosphorus foods—in appropriate quantities—are in your diet. Together with calcium, phosphorus helps build your bones and teeth. Phosphorus also helps your body store and use energy while filtering out waste. It even helps to produce DNA—your body’s carrier of genetic information. Despite these key roles, phosphorus (like magnesium) is more commonly known for helping to regulate your nerve and kidney functioning, heartbeat, and muscle contractions. The phosphorus mineral is abundantly available in protein-rich animal products such as meat, poultry, egg yolk, milk, yogurt, and cheese. These are foods you likely consume on a regular basis, so the likelihood that you aren’t getting enough phosphorus is slim. Other phosphorus foods include legumes such as soybeans and nuts. On the other hand, you can get phosphorus from sources that are best avoided: phosphoric acid added to processed foods, soft drinks, and other sugary beverages. Phosphoric acid is a colorless, odorless liquid additive that prevents the growth of bacteria that can multiply in sugary drinks. It also creates a drink that is acidic and tangy in flavor. Click here for a complete list of foods that are rich in phosphorus. What Happens When Phosphorus Levels Are Too Low? The good news about phosphorus is that deficiency is rare among the general population. According to the University of Maryland Medical Center (UMMC), most people get enough phosphorus—adults need 700 mg per day, depending on gender and age. This makes sense, especially because our typical Western diet is quite high in grains, dairy, and animal protein. Certain health conditions, such as diabetes and alcoholism, can lead to low levels of phosphorus. The UMMC advises that individuals with certain digestive disorders, such as Crohn’s disease and celiac disease (I am one of them!) are also at risk of low phosphorus levels due to difficulty with nutrient absorption. Some medications can cause lower phosphorus levels as well—most commonly antacids and diuretics. A wide range of symptoms are associated with phosphorus deficiency. The most common ones are bone pain, fragile bones, stiff joints, loss of appetite, fatigue, anxiety, irritability, irregular breathing, numbness, and weakness. What Happens When Phosphorus Levels Are Too High? Too much phosphorus can have serious health implications. High phosphorus levels can seriously affect your heart health and your bone health. In healthy individuals, the kidneys excrete excess phosphorus with the help of various endocrine hormones, so high phosphorus levels are not a concern. Too much phosphorus is typically caused by kidney disease, whereby the kidneys do not expel excess phosphorus. This can lead to dangerously high levels of phosphorus in the blood. Phosphorus retention in kidney disease plays a role in the onset of metabolic bone disease (MBD). Too much phosphorus can particularly affect your bone health if you’re not getting enough calcium. Ideally, you need a balance between calcium and phosphorus to prevent metabolic bone disorders like osteoporosis and to support optimal bone density. A balance between calcium and phosphorus is also required for heart health. When phosphate levels in the blood are too high, a low-phosphorus diet is usually recommended. 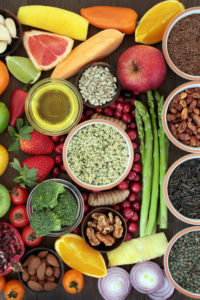 Since the standard North American diet contains such high amounts of meat, dairy, and grains that are high in phosphate, it can be challenging to restrict phosphorous foods. A good strategy is to aim for a more plant-based diet and limit heavily processed foods. Boil your food and avoid foods with phosphorus-containing additives, such as the phosphoric acid in soda. Seltzer water is a good alternative to sweetened sodas. Click here to see a visual representation of foods (the phosphorus pyramid) according to their phosphorus content. And, of course, speak with your doctor if you’re concerned about your phosphorus levels. anxiety, appetite, bacteria, bone, bone density, bone disease, bone health, bone pain, calcium, celiac, celiac disease, dairy, diabetes, diet, digestive, digestive disorders, egg yolk, food, health, healthy diet, heart health, magnesium, milk, muscle, nuts, osteoporosis, pain, phosphorus foods, plant based diet, processed foods, protein, seltzer water, western diet, whole grains, yogurt, your bones.